In the year that voted for Brexit and Trump, the year that took David Bowie, Alan Rickman, A. A. Gill, Leonard Cohen, Carrie Fisher and Debbie Reynolds (and so very many more), and the year that snatched The Great British Bake Off from the BBC… no one has really been able to talk about anything else except for how bad it’s been. 2016 challenged every bit of political, economical and cultural trust that voters and consumers gave it. It will be remembered, mostly, as the year that was objectively terrible. And everyone has been pretty vocal about it. But to limit the memory of 2016 to the list of every upsetting and confusing thing that occurred in the last 12 months would be a terrible shame. 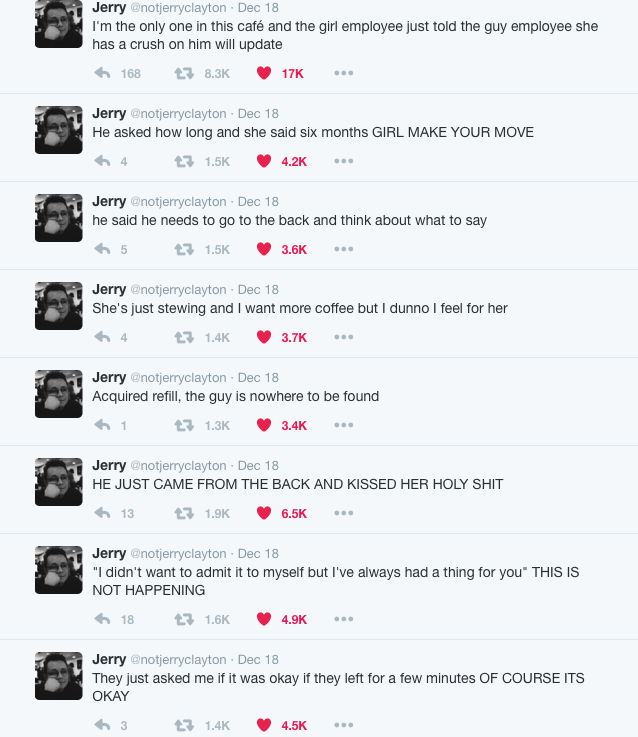 There were actually quite a few great things that happened in 2016 too. Although I may not agree with a lot of things that have been said about The Revenant, at least we can all rest easy with the assurance that good things do come to those who wait – even if that means waiting for a somewhat overhyped film. The good news is that regardless of cinematic opinions on Alejandro González Iñárritu’s second Best Picture win, there have been enough motivational memes to see us all through into 2017. 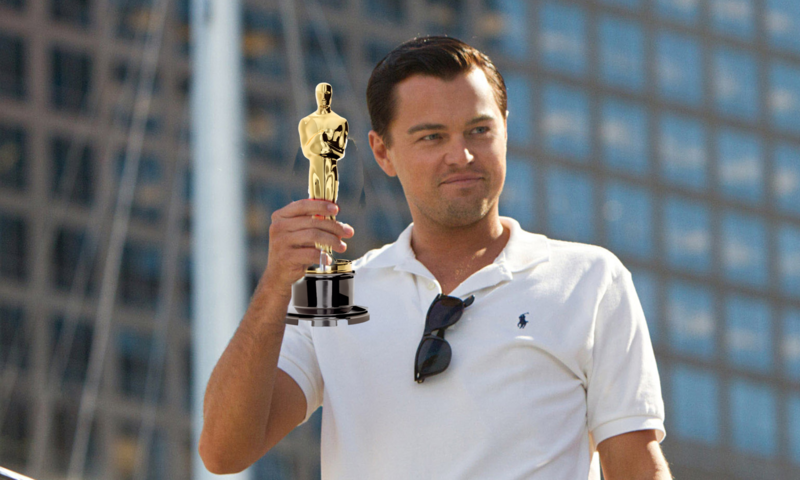 Be it thanks to his Oscar-fuelled spark or just his general greatness, Di Caprio also produced Before the Flood, a documentary on climate change which was released in October. A thank you gift that should be enjoyed with open arms and wide eyes. Making the jump from Channel 4 onto Netflix, Season 3 doubled in numbers from the first two, and provided even more variety and outstanding fiction than before. It’s worryingly accurate in a prophetic way: it is only in the climax of each episode, once the twist has done a double backflip and the episode has outsmarted the viewer, that you sit back and don’t relax – because this is a series that knows you and knows the world you live in far better than any of us. Standouts from Season 3 are Hated in the Nation, San Junipero and Shut Up and Dance respectively. Across these three episodes, issues of genderless love, reputational risk and mass vicious technology are tackled – but in far more exciting ways than the textbook terms may assume. Through unpretentious acting and wildly imaginative while piercing and true scripting, Black Mirror trumps every attempt at “this is your life” cold-shower fiction, and will stay with you long into 2017. 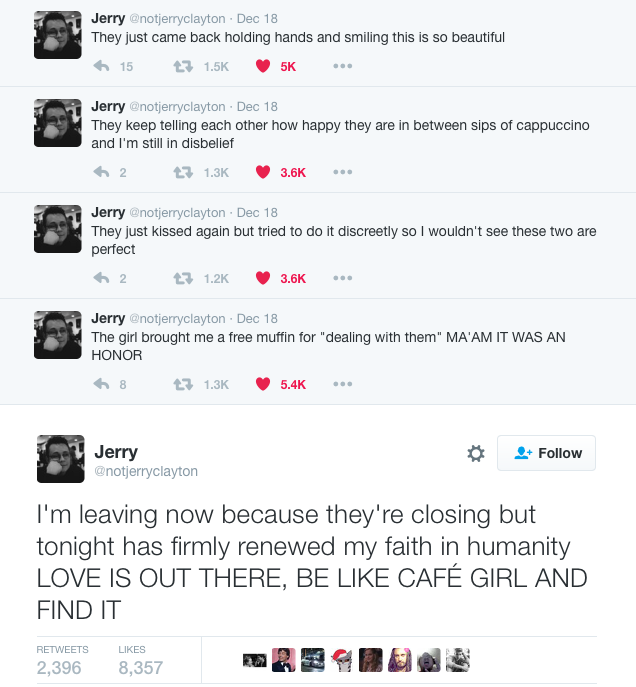 Only a few weeks ago, the heartwarming story of “café girl” was kindly gifted to the internet by one man and his tweets. Although this has not changed the grand socio-political makeup of the world, it did make a lot of people feel better about their day. Maybe romance is best kept private for most, but I for one feel a lot better knowing that my 15-year-old dreams actually came true for people in 2016. True to form, it was when the world was least expecting it that Beyoncé released a full new album in April. As well as boasting 12 new tracks with guest appearances from Kendrick Lamar, James Blake, Jack White and The Weeknd, Lemonade also came gift-wrapped with its own one-hour film released on HBO. A transformative artist, Beyoncé gave 2016 a rich album with an eclectic sound and a fascinating film. The second visual album following her eponymous release in 2013, Lemonade further pushes the boundaries of artistic storytelling in its blurring of mediums, providing a real multi-sensory treat to enjoy. And this theoretical and hypothetical progressive movement is neatly packaged into the most infectious album release of 2016. Expectations were high as the British four-piece returned to the Pyramid stage at Worthy Farm in June. Fans had dreamt of the moment since their last headlining slot in 2011, and with a new album and fresh xylobands under their belt, it was set to be big. In keeping with Glastonbury traditions, Coldplay had prepared a surprise as headliners – but not the one that people took them as so predictable to prepare. Half way through their set, frontman Chris Martin announced that instead of covering Bowie’s Heroes as they had done previously on tour, they would share the stage with another act – the late indie rock band from Cheshire, Viola Beach. The four musicians and their manager tragically passed away in a car crash in Sweden in February, ahead of their scheduled UK tour supporting Blossoms and their album release in July. On stage at Glastonbury, Martin shared with the audience what he would have liked to be a glimpse of a future in which Viola Beach would have headlined the stage, before Coldplay sang a duet with a recorded video of the band performing their single ‘Boys That Sing’. In an email exchange with Lisa Leonard, mother of Kris who wrote ‘Boys That Sing’, Chris Martin said: ‘I wanted to reach out to you, to help and support you, because I know what it feels like to be so young and to have that drive. However, at that age, we were never as good as Viola Beach were…’. In August, Viola Beach’s posthumous album went straight to number 1. And rightly so. While my favourite films of this year remain Captain Fantastic and Everybody Wants Some! !, neither particularly revolutionary in terms of their gender balance, 2016 was the year that saw some pretty great roles for women, as well as projects that were produced, written and/or directed by female creatives, which gives us all a bit more hope for the new year. Amma Asanté’s A United Kingdom opened this year’s BFI London Film Festival, while we saw the return of Bridget Jones which received widespread acclaim, as well as an all-female reboot of Ghostbusters. While I can’t personally comment on the effectiveness of the aforementioned, two films featuring outstanding female newcomers shone in 2016. Victoria, an indie german one-take-wonder released in March, and American Honey, Andrea Arnold’s blistering three-hour road trip odyssey through the US. While different in their plot developments, both films are equally captivating. They stray from what a mainstream UK audience is used to, and their main strength relies on the electricity bestowed in their leads. 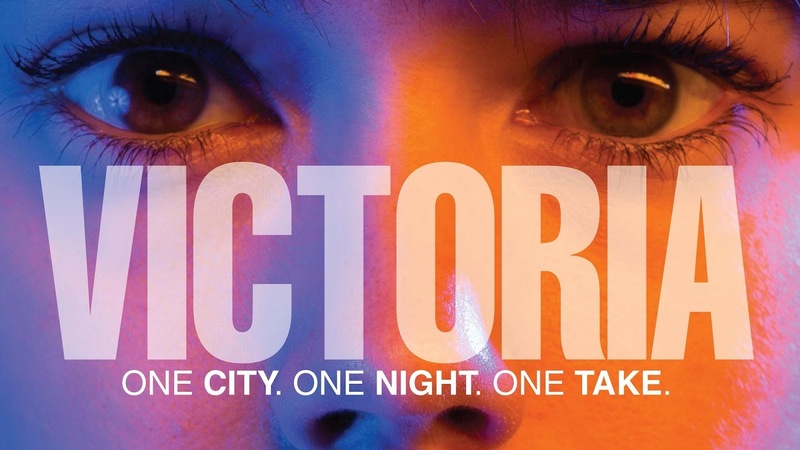 In Victoria, Laia Costa leads the single continuous take through a nocturnal Berlin, as Spanish tourist Victoria falls down the rabbit hole and into the arms of an urban nightmare. Costa is hypnotising opposite her four German co-stars, as the tension rises in this claustrophobic wonder. American Honey sees Star, played by newcomer Sasha Lane, wander into the orbit of Jake (Shia LaBeouf) and his mag crew as they travel across America selling magazines door-to-door. The film was mainly street-cast by Arnold, and this comes across in each character’s authentic flavour. There isn’t a moment where Lane falters, as Star is as hungry for freedom as you’d expect any teenage runaway to be. It makes for a fascinating watch, as these people unravel in this sweet, lust-filled epic. Broadly speaking, the return of David Attenborough’s Planet Earth played a key part in any happiness that came out of 2016. Although his previous documentaries generated a great following, Planet Earth II seemed to provide the bit of fascinating real beauty that the world needed in 2016. In one of the later episodes of the series, baby hawksbill turtles were seen heading towards the mainland instead of the sea, confused by light pollution and following the city lights as opposed to the moon. Thankfully, although not saving all the hatchlings in danger, all of the baby turtles spotted and featured by the BBC crew were rescued, and returned back into the sea. It turns out that Planet Earth II were working with the Barbados Sea Turtle Project, which aims to save the turtles in danger during hatching season. 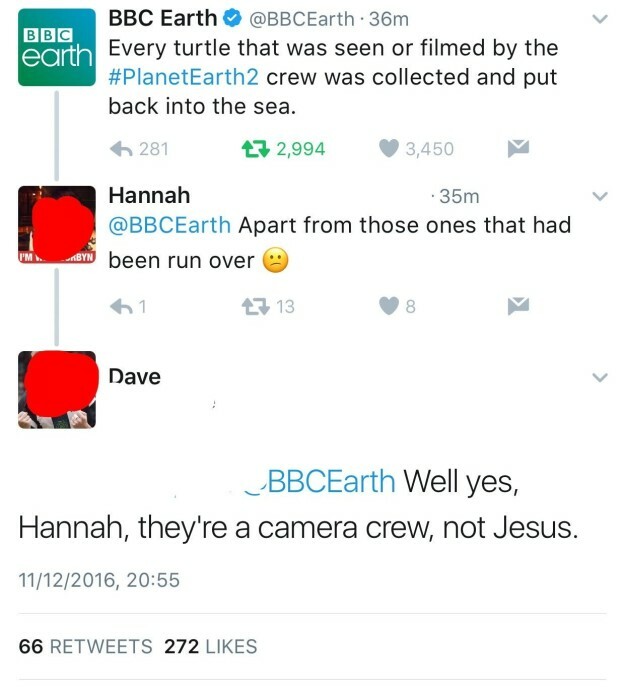 If the whole world can’t be saved, it’s nice to know that there are people helping out, one turtle at a time. As well as these highlights, special mentions must also go to the new season of Peep Show, team GB winning 27 gold medals at the Rio Olympics, Val’s presence in Bake Off, Murray winning Wimbledon again, Wes Anderson’s announcement for his new film, and Radiohead’s rise from the ashes. And past the world of pop culture, this article has compiled a list of the 99 best things that happened on Earth in 2016. So if we were able to achieve all of this in 2016 – who knows how long the list will be at the end of 2017?